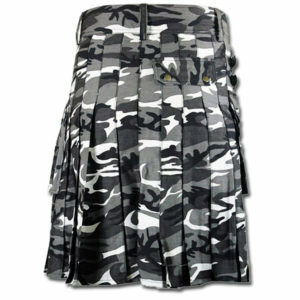 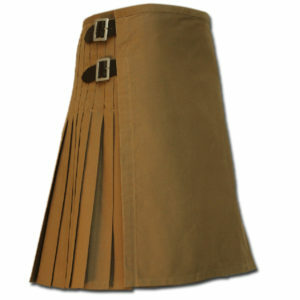 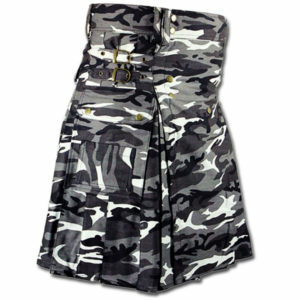 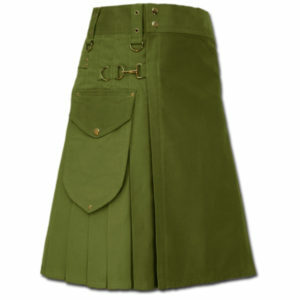 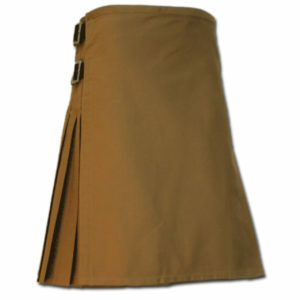 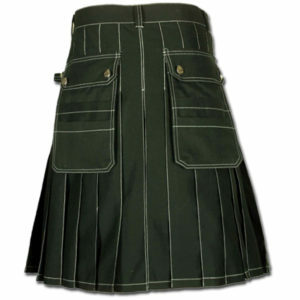 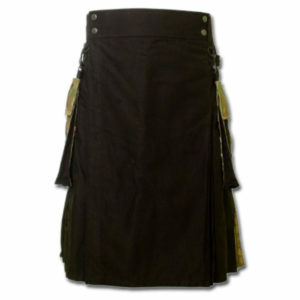 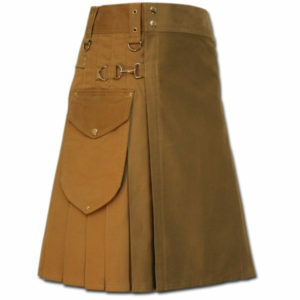 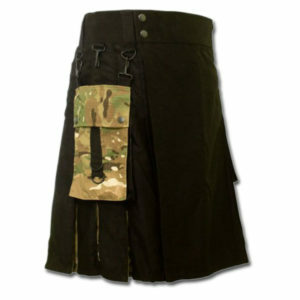 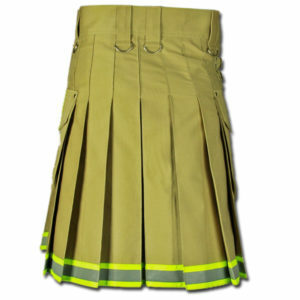 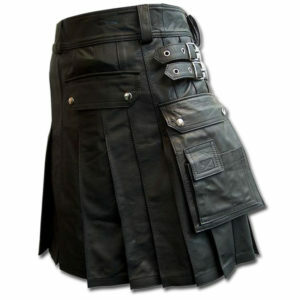 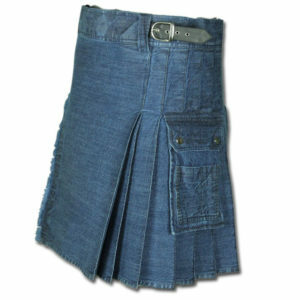 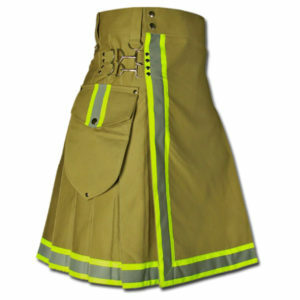 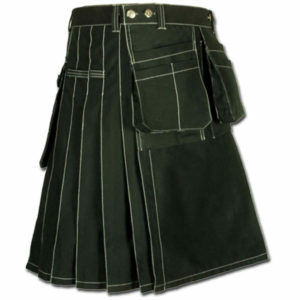 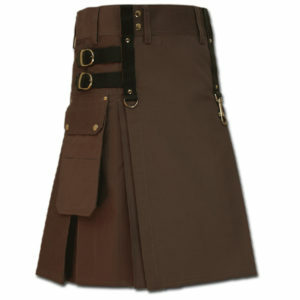 This Kilt is in Beige Color and this Utility Kilt Made for Mens and Boys With 2 Sides Cargo Pockets and 1 Back Pocket. 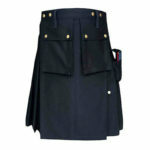 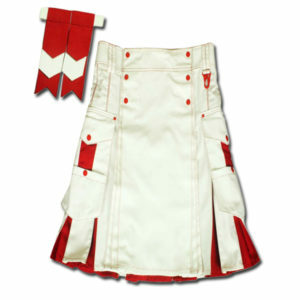 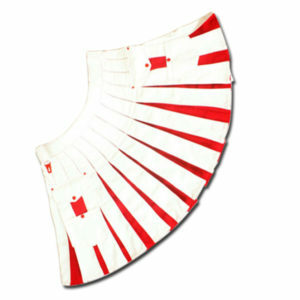 It is made up of 100% cotton and Brass Material. 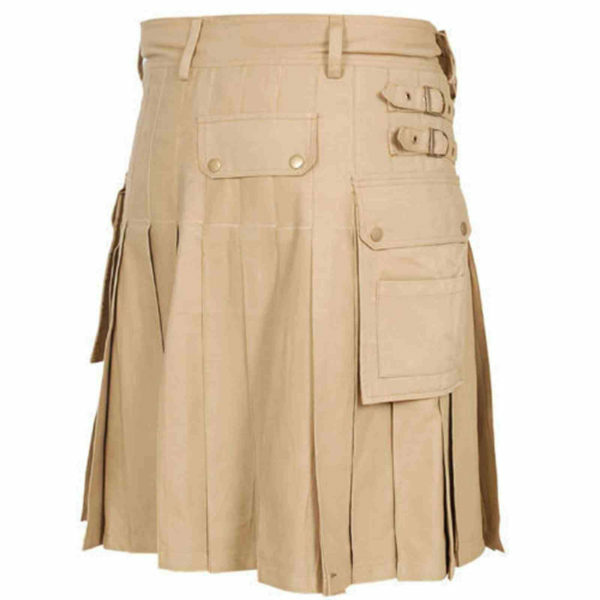 There are 2 Large Cargo Pockets On Both Side and 1 Back Pocket. 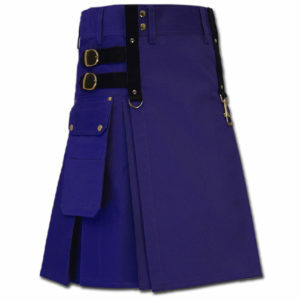 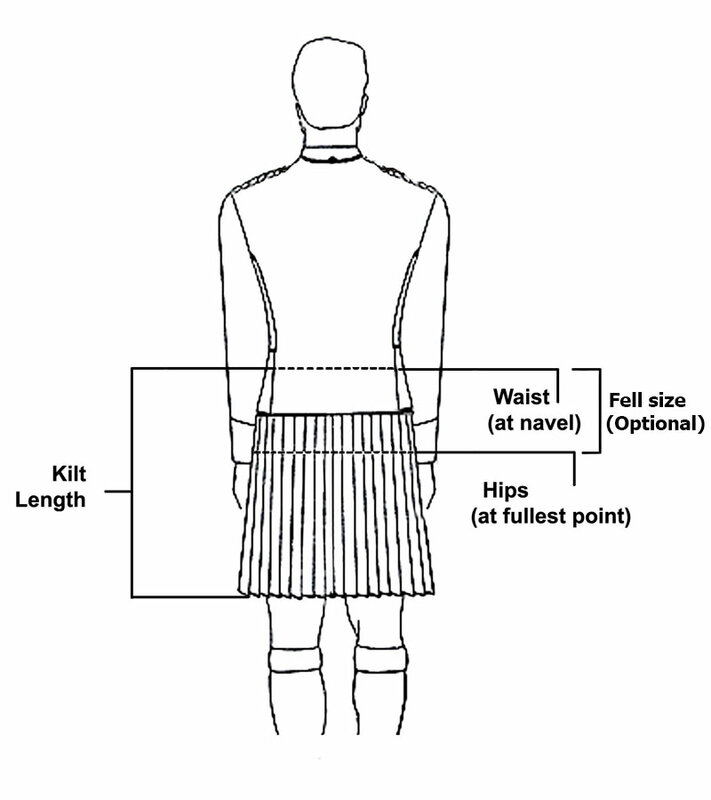 Love my new kilt, measured as instructed and rounded up, the sizing is perfect!